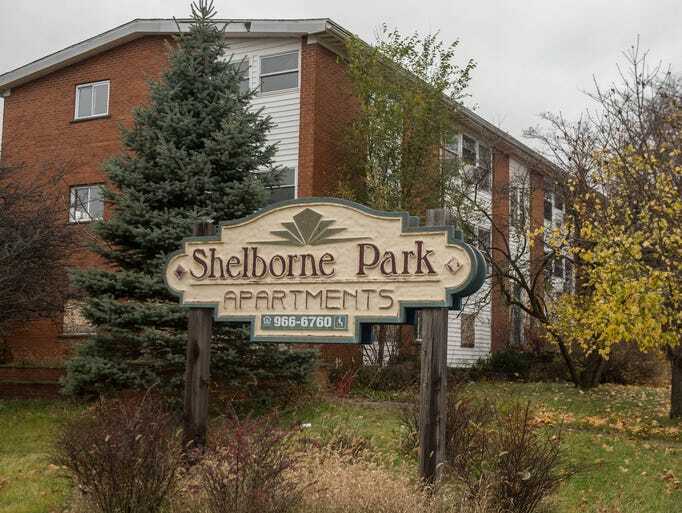 Crumbling sidewalks, broken-out windows and overgrown trees sagging onto buildings tell a story of the former Shelborne Park Apartments on Battle Creek’s north side. However, an out-of town developer is proposing to rehab the property into an affordable housing community for Kellogg Community College students. Annex Student Living, an Indianapolis-based housing developer that primarily focuses on student-housing projects, has aspirations to develop the former Shelborne Park Apartments at 109 Springview Drive, across North Avenue from the KCC campus. In a presentation to the Battle Creek Brownfield Redevelopment Authority last month, Rob Martinson, the company’s vice president of development, said the company estimates it will cost about $5.1 million — including about $3.1 million in construction costs — to rehabilitate and reopen the 63-unit property. Martinson told the Enquirer Thursday the company hopes to purchase the property by the end of the year and start renovations by January or February. The company’s intent, he said, is to be able to deliver finished units by the start of the school year in August 2016. “With KCC, I’d say they have a strong student presence and we feel there’s a need for a quality student housing project close to campus that will provide the amenities and the community tailored to students,” Martinson said. “This particular community has been severely overlooked the past couple of years in the extreme disrepair it currently sits. KCC does not offer student housing or dormitories and it does not partner with any local housing complex, college spokesman Eric Greene said. The college has never done this, Greene said, because KCC is considered a commuter campus with a majority of its students already living within close range of campus. Greene said “there’s not a huge number (of students) that are demanding housing from KCC,” and the proposed project would not be a partnership with the college. But Greene said university officials have met with Annex Student Living representatives and the college is supportive of any redevelopment efforts. At this point, Martinson said the inside of the buildings are “a complete mess” with leftover clothes, mattresses, food and decaying drywall. He said there are some buildings within the complex that have residents squatting there. There’s also the question of searching out subsidies to offset, what Martinson said, will be considerable costs to strip down the interior and completely rebuild large segments of the property. Once completed, the property would operate similarly to Annex’s 11 other properties across Ohio, Indiana, Illinois and Kentucky; this would be the company’s first Michigan property. Other properties, such as The Annex of South Bend, The Annex of Columbus and Station 74 in Murray, Ky., serve student communities with furnished apartments, laundry areas, fitness centers, outdoor recreation availability and a Cyber Cafe, among others.